back shape to allow for countersunk mount holes. a rubber anti-vibration block to cushion it against fender. uses light from stock tail lamp. position on 3 holes above taillamp. 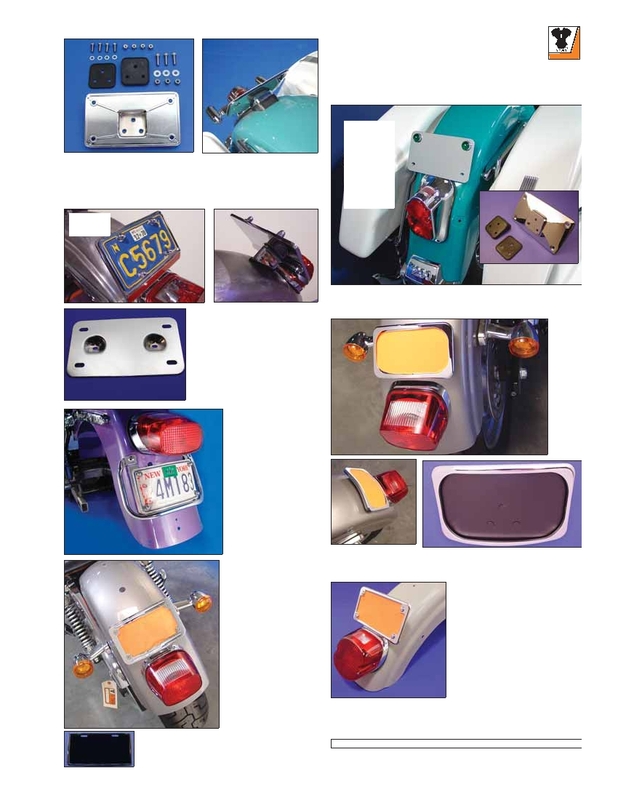 Taillamps/Headlamps listed are for show or decorative use only, not D.O.T. approved. Black License Plate Blank is 4" x 7".